Baby Boy Turns One! 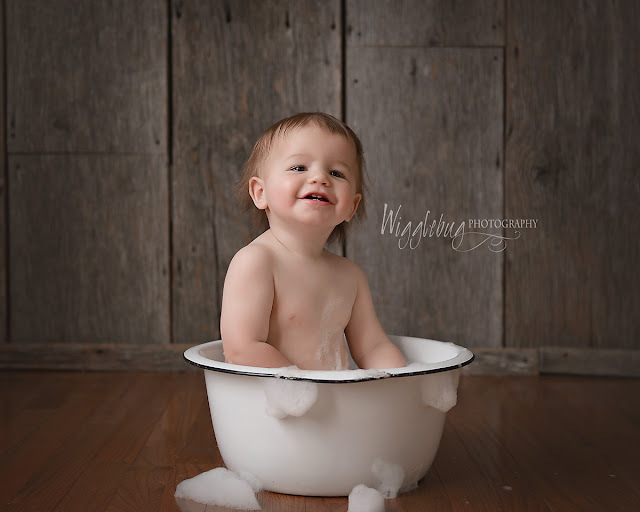 | Newborn to One Year Old in the Blink of an Eye! One of the greatest pleasures in being a newborn and baby photographer is that I get to see all the sweet newborns grow up. It feels like it was just yesterday that Tiffany brought Tucker in for his newborn photos. This family comes to the studio from the Genoa Kinston area. Usually we meet up at the Wigglebug studio. 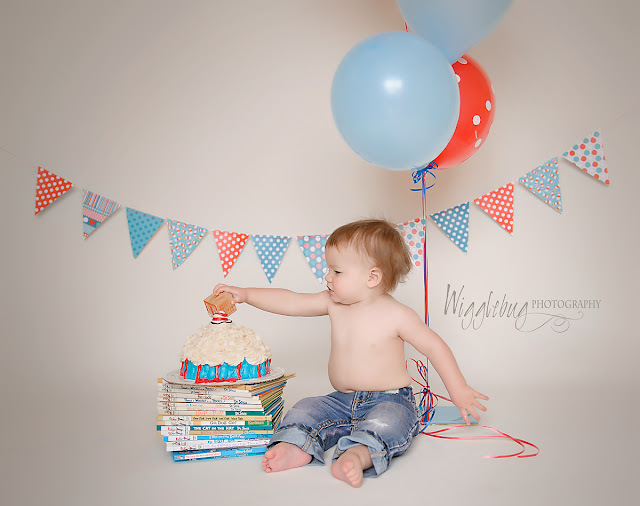 This one year/ cake smash session was a lot of fun to plan. 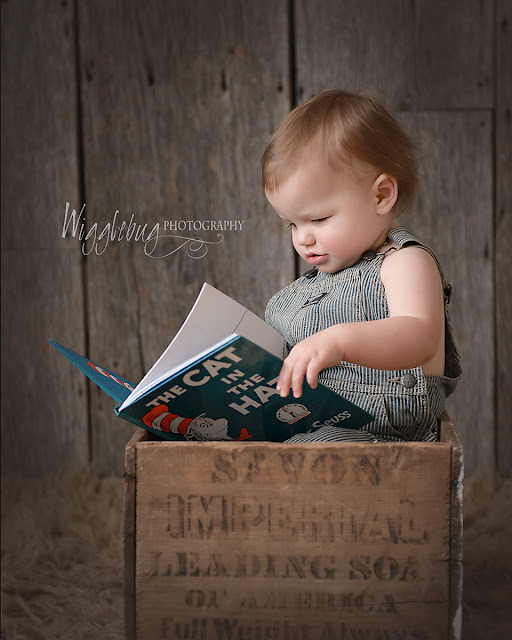 We went with a Dr. Seuss theme and it turned out so cute. Of course Mr. Tucker does not need any help in the cute department. Dad's favorite set is the Birch Tree Set. Mom specifically requested my vintage suitcases, and my favorite is my vintage wash basin for the after smash bubble bath. Of course, no session with this family would be complete without an adorable sibling shot. Check out the video to see how they have ALL grown over the last year! As a bonus gift I also put together a year in review video you can see the amazing transformation of Tucker from a not so tiny newborn to a bouncing baby one year old! 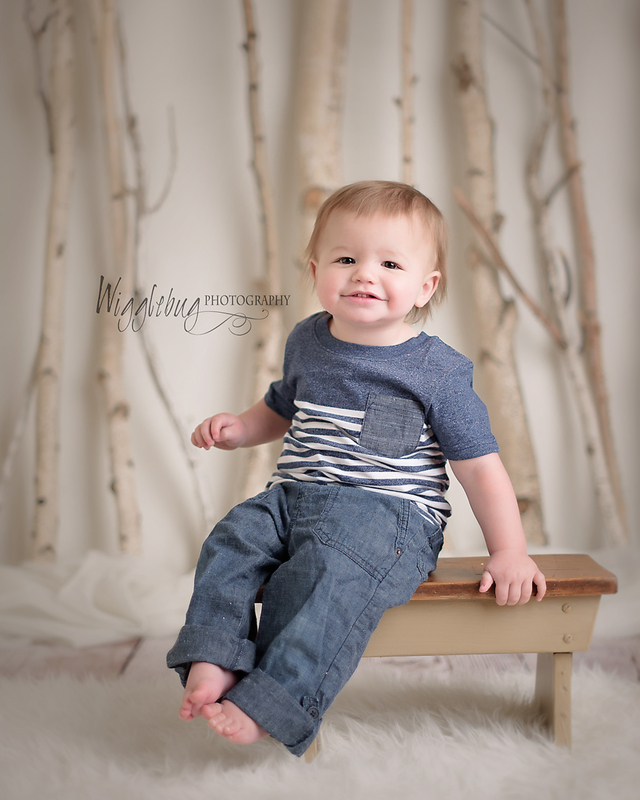 Here are some of my favorites from our session together and Tucker's One Year Video! Would you like me to create a custom set for your little one? Contact me today so we can start planning all the details!